Many retirement communities say they are the best, but Bear Creek – conveniently located near Daytona Beach, Florida – truly stands above the pack, and has quickly become one of the most sought-after 55 and over communities in the Sunshine State. With not one, but three beautiful clubhouses, three sparkling pools, and three heated spas, we offer our residents an array of choices for where and how they will enjoy their time. But most importantly, we offer it all affordably, so you won’t have to sacrifice your peace of mind in order to enjoy your days and nights in retirement near Florida’s beautiful Atlantic Coast. 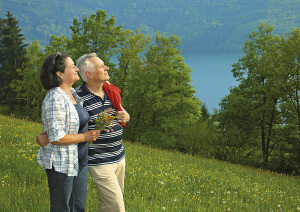 Clearly, the best retirement communities have amenities, and Bear Creek is no exception. In addition to our clubhouses, pools, and spas, you’ll also find that Bear Creek residents enjoy pickleball – one of the fastest-growing pastimes in the Daytona Beach area. We have our own courts, and with an average of more than 300 days of sunshine a year. Our residents take full advantage of these facilities to play friendly pickleball games with their neighbors and friends. There are also courts for playing horseshoes and shuffleboard, as well as a spacious dance floor, a state-of-the-art fitness center, and much more. To learn more about the many additional ways in which Bear Creek sets itself apart as one of the best retirement communities near Daytona Beach, FL, contact one of our helpful Lifestyle Consultants today.